New vehicle reviews, motorsports, commentary and more! From Ford – As consumers demand more gadgets equipped as standard in their car, Ford has taken a step in an unexpected direction by partnering with Best Buy for technical support of their vehicles equipped with SYNC. I hesitate to say a step in the right direction, because this basically means that Best Buy’s Geek Squad will now support & troubleshoot the electronic gadgets in your future Ford vehicle. Now, I’m sure there are some pretty sharp Geek Squad technicians out there but I think you may have a better chance to win the lottery than to get one of them to service your vehicle. From EGrandPrix – Tree huggers rejoice! 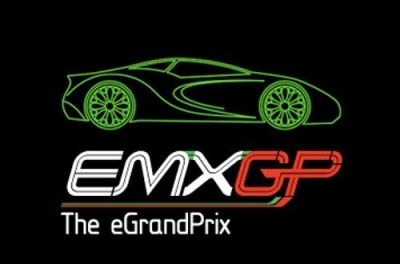 In June 2010, Paris will hold the worlds first all electric car and motorcycle races. Outrageous (in a good sense) mileage figures aside, what about the various chemicals and toxins put into the atmosphere when an electric vehicle hits the scrap heap? What about the fact that more toxicity is produced from “retiring” an electric vehicle than a gas-powered vehicle? All excitement aside, I think I’ll stick to Formula 1. 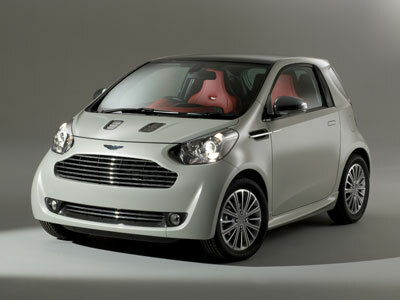 From Aston Martin – This week, Aston Martin released pictures of its latest vehicle, the Cygnet. Described as a “luxury commuter,” it looks like the illegitimate lovechild between an Aston and Toyota Yaris. The price tag of this James-Bonded Toyota iQ will be around $32k. How many shaken martinis will James Bond need before getting in one of these? 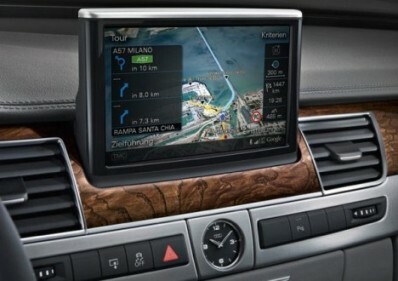 From Audi – It looks like Audi set the bar a little higher by incorporating Google Earth into the 2011 Audi A8. Aside from terrain-mapping, it also allows you to do an Internet search on the map via a UMTS modem for data transfers. Could this be the end for updating navigation DVDs for our cars? We will just have to wait and see. Audi has been producing really great vehicles as of late and diesel is gaining more traction in the US market. Buyers are finally realizing that today’s diesel-powered cars are not like those of old. Gone are black plumes of soot coming out of diesel vehicles, now effectively eliminated by urea injection within the exhaust path. So what do you get when you combine the sport Audi A3 and a TDI diesel engine? The 2010 Green Car of the Year award, of course. Announced at the LA Auto Show, Green Car Journal / GreenCar.com presented the honors to Audi of America President Johan de Nysschen. With an EPA-estimated 42mpg highway fuel economy figure, this is proof yet again that a fun, enjoyable driving experience and fuel efficiency aren’t mutually exclusive. We Americans are yet again slapped in the face, with Audi launching the A5 Sportback in Europe but no plans to introduce the car to the US market. With three engine options – the 180bhp or 211bhp 2.0L TFSI, or the 265bhp 3.2 V6 – and three diesel engine options – the 170bhp 2.0 TDI, the 190bhp 2.7L TDI and the 240bh 3.0L TDI – the Sportback is being positioned as the entry level model in the A5 model series (although we think it belongs more in the A4 line up). Sure, we’ve been critics of manufacturers offering an excessive number of trim levels for each model in their line up, but the A5 Sportback sure looks pretty and wouldn’t look out of place in the driveway of anyone here in the good old US of A. “The Strip.” Slot machines. Blackjack tables. Buffets. Bright lights. What happens there supposedly stays there. Yes, I’m talking about Las Vegas. And it’s where we discovered the true magic of the new 2009 Audi TT-S Roadster. Designated as the top-of-the-line model in the TT offering (until the TT-RS is released to the public, at least), the Ingolstadt make has pumped up the base TT’s 2.0L turbocharged to produce 265hp and 258lb-ft of torque. And as we were about to discover once behind the wheel, the TT-S offers fresh competition against the likes of the BMW Z4, Mercedes SLK and Porsche Boxster. Even at first glance, the TT-S is a looker. The addition of a revised front fascia, with a deep chin spoiler and splitter, gives the roadster a much more aggressive, masculine feel over its non “S” brethren. The optional 19-inch five-parallel-spoke star design wheels on our tester elevated the ante even further – if you are considering purchasing the TT-S, definitely opt for the 19-inch wheel option. Even in a city as jaded as Las Vegas, the TT-S garnered more than its share of looks, from fellow drivers and pedestrians alike. Step into the TT-S’s cabin and a sheer truth becomes very apparent – there are few manufacturers that can construct a vehicle interior as well as Audi. Whether it be materials, construction quality or sheer design, Audi does it better than just about anyone out there. Turn the key and the engine starts with a solid feel that you’d expect from a premium German car. But unlike the previous top model in the TT line up – the TT 3.2 with a naturally aspirated V6 – the TT-S takes the 2.0L turbo from the base TT and fuses it with a bigger turbo, intercooler, more boost and fortified internals to handle that extra boost. A full bar (14.7 psi) of boost, as a matter of fact. That extra boost is more than noticeable once on the throttle. Acceleration from a standing start is smooth, getting the roadster up to freeways speeds and beyond without much fuss. We tried out the launch control system standard on the TT-S to see if we could achieve a more thrilling experience under WOT, but came away completed unfazed. Following the directions in the owner’s manual, we anticipated instant forward motion. What we got was an initial bog, followed by the usual acceleration levels we were experiencing. We tried again. And again. The results were the same. There wasn’t any smell of burning rubber. Rather, the smell of a burning clutch was all we were left with. As wonderful as the DSG system is, we’re perplexed by the shifter. Once pulled into the manual shifting slot to the left, the shifter presents the driver with a secondary shifting option. And shifting in this manner produces the same, quick gear shifts as found via the steering wheel paddles. Upshifts are literally “up,” as you push the shifter forward / away from you, where as downshifts are literally “down,” as you pull the shifter down towards you. For all intended purposes, however, this action for up and downshifts is counterintuitive. Perhaps it’s a literal translation for the novice driver who has never encountered or completely unfamiliar with a true sequential gearbox. Perhaps Audi is “dumbing down” the TT-S for the lowest common denominator. 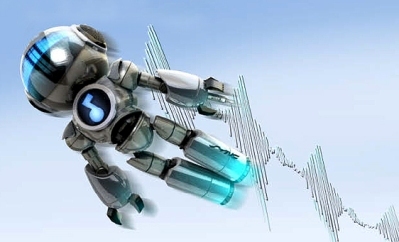 Whatever the reason may be, even simple physics suggest that upshifts should match the momentum of the body during acceleration (pull the shifter towards you) and during deceleration (push the shifter forward, away from you). Granted, other car makers make the same mistake, but Audi, the company that produces the multi-24 Hours of Le Mans winning P1 RACECARS, shouldn’t follow suit. Rounding out the outstanding performance of the TT-S is the Audi magnetic ride system. In line with what is quickly becoming the norm in higher price point vehicles, Audi’s system permits the driver to select a “normal” or “sport” mode, which changes damping characteristics on the fly. For the most part, we discovered that “sport” mode is more than capable of handling the roughest of roads with ease. Only when dealing with Interstate 15’s rough patches on the way to Vegas did we switch over to “normal” mode. We did wish, however, that this magnetic ride system would offer another level of damping adjustment on the stiffer end of things. Considering that the “S” is positioned as a more spirited and performance-oriented TT, a third damping level would be very much in line with this logic. The current BMW M3’s electronically controlled suspension system would be a good benchmark to emulate. Finally, Audi’s ubiquitous Quattro all wheel drive system ensures optimum power delivery and dependable footwork. The return trip from Vegas to Los Angeles presented us with thundershowers and high headwinds, both of which may unsettle many vehicles. The assurance of Quattro inspired confident driving in wet conditions and the TT-S never lost its poise no matter the prevailing weather conditions. Against its German roadster brethren, the TT-S offers the advantage of all wheel drive. Although you would suspect the added weight of the AWD system may hamper its efficiency, the Audi offers the highest mileage rating out of the foursome. The real question will come down to whether you favor the stability of an all wheel drive system or the joys of a rear wheel drive system that will let you hang out the rear with throttle oversteer. If you have any desire to take one of these roadsters to the track, the Porsche Boxster and the BMW Z4 seem much more appropriate for track use. The TT-S tips the scale at up to 400lbs+ over the Boxster and Z4, and this is sure to pay penalties in terms of braking performance, brake fade and transitional stability. But is the TT-S really a roadster you would take to the track? Much like the Mercedes SLK, the TT-S seems much more appropriate for gran turismo – long-distance, high speed trip done in both comfort and style. This is where the Audi’s greatest strength exists and sets itself apart from the Porsche and the BMW. As for the SLK350, surely the Mercedes brand means something, but we have to question whether it’s worth the $7,000+ premium. And with the new visual accoutrements added to the TT-S, the Audi is a much more masculine, aggressive form in which to drive all those miles. Buy the SLK350 for your girlfriend / wife. Save the TT-S for yourself. Simply put, we like the 2009 Audi TT-S. No, we actually love the 2009 Audi TT-S. Small complaints aside, this roadster does everything well. And in style. It makes the base 2.0L turbo and 3.2L TTs rather obsolete. All things considered, we can’t fathom why anyone would choose to buy anything but the TT-S. Although it’s certainly capable, we don’t believe pitting the TT-S against the likes of a Boxster or Cayman on the track is a fair contest. We’ll wait for the TT-RS for that purpose. But the TT-S fulfills its duty as a GT incredibly well. And although the $56K price tag may scare away some potential buyers, it’s actually quite reasonable in the bigger scheme of things when compared to other German-made roadsters. Frankly, we wouldn’t mind having one as a daily driver regardless of it higher price tag. Thanks goes out to Christian Bokich @ Audi of America and the gang @ STi Fleet Services! Until the Mitsubishi Lancer Evolution actually reached US shores, the turbocharged “sports” sedan – really, “sports” is an understatement – was just a figment of the imagination that could only be enjoyed through a round on Gran Turismo. And it was made even worse by the demise of other Japanese sports car platforms – the Supra, MR2, RX-7 and NSX. It seemed Japanese car makers forgot about drivers on the other side of the Pacific. That seems like ancient history now as Mitsubishi launched the newest iteration of the Evolution – the X – in 2008. With a completely new chassis (CZ4A) and engine (4B11 turbo), the 3rd generation of the Evo was put to pasture. Considering that yours truly and our feature editor, RevnRen, both own Evos – IX MR and VIII GSR, respectively – RevdCars.com has a soft spot for these 4-door speed demons. Needless to say, we wanted to give the X MR a thorough examination and, admittedly, bashing to determine if the evolution of the Evolution was in the right direction. We won’t delve too much into the design of the new Evo, as form tends to be a very subjective kinda thing. But we do want to note a few things about the goings on outside and inside the CZ4A. The look is a complete departure from anything else seen before in the Evolution family. The front end is reminiscent of the Nissan BNR34 GT-R, with a blunt nose and high surface area for the intercooler and radiator. The belt line is now taller, creating a more cocooned feel inside the cockpit. The rear end looks much taller as a result of this as well, making the previous generation Evo look like a Ooompa Loompa from the Charlie and the Chocolate Factory children’s story. The Recaro seats featured in the X are a far better at supporting the driver and front passenger. The previous generation featured the back section from the Recaro Sport seats, but the bottom section seemed to be a unit straight out of the plain Lancer, albeit with upholstery treatment to match the back section. The new Recaros have real thigh bolsters, which should work well when things get more curvy and dicey. What’s the tradeoff for the new seats? Whereas the previous generation’s seats have a hard plastic backing, the new Recaros are just “draped” in a vinyl cloth. Blame the beancounters for this one. Gone is the carbon rear spoiler from the CT9A. The X features a spoiler made entirely of… plastic. HVAC controls are now automatic. You can set a desired cabin temp and let the system work its magic. This is nice and all, but the control dials look and feel rather cheap. There are no apparent gauges for water temp, voltage, boost or any other useful parameters. To see some of this information, you have to scroll through the digital information display situated between the tach and speedometer. At the minimum, water temp and fuel level should be visible at all times. The seating position feels high and there are no controls for seat height – this is an on-going gripe of mine about most Japanese cars; the Europeans do a better better job of accomodating tall AND average sized drivers, whereas anyone taller than 5’10” face a rather high seating position in Japanese vehicles. Since there are some electronic tidbits situated under the driver’s and front passenger seats – I’m assuming these are the amps and related components for the sound system – there’s no way to modify the seat bracket to lower the seating position. Unless you relocate all those electronic tidbits, that is. As our friend, current Mazda engineer & former Sport Compact Car editor Dave Coleman said at the new Evo’s launch, “You buy this car for what’s forward of the firewall.” Indeed, the Evo has been known to deliver outrageous performance in a compact 4-door platform for a relatively reasonable price. The CE9A (first generation, I to III), CP9A (second generation, IV to VI) and CT9A (third generation, VII to IX) have not only been the foundation for street performance but for motorsports as well, ranging from the WRC to the Tsukuba time attack in Japan. In addition to the completely new powerplant, the 4B11, the Evo X MR brings two completely new features to the table – the TC-SST sequential manual transmission and the addition of Super AYC to Stateside cars, resulting in what is dubbed “All Wheel Control,” also known as AWC. The 4B11 is a departure from the 4G63 engine that has been used for all three previous generations of the Evo. Whereas the older engine’s foundation was based on a cast iron block, the new engine is based on an aluminum block design. Surely, the 4G63T was built to withstand boost way beyond what comes from the factory due to its stout nature, whereas lighter weight was the greater focus of the 4B11. Although not as stout as the older engine – which can be easily solved by throwing in some machining and sleeves – the new engine does give better weight distribution and balance in the CZ4A chassis. And the 4B11 is no slouch either, producing greater horsepower and torque figures out of the box. Behind the wheel, the 4B11 produces plenty of power from down low. The engine doesn’t seem to require as much revs as the 4G63 to start putting the power down, which proves well for quick getaways from a standing or rolling start. And it pulls decently to its 7k rev limit, although it seems to start running out of gas in the high end of the rev spectrum when compared to the 4G63. Whereas the X unwinds with smooth boost, the IX is much more raw, pushing you back in the seat with greater urgency and impact. Obviously, the boost characteristics of the X is in line with the more “mature” driving feel Mitsubishi engineers were shooting for. Perhaps opening up the intake side of the equation would alleviate this bit of a “choking” feeling on the top end. The new power delivery characteristics are augmented by the incredibly capable TC-SST transmission in the X MR. With three modes to choose from – “Normal,” Sport and S-Sport – the driver is given the choice of throttle response and aggressiveness in the shifting. “Normal” mode seemed to be best for lugging the car around town with traffic, whereas sport mode engaged with a quick flick of the toggle switch, immediately changing the behavior of the X. Personally speaking, I found S-Sport mode to be to my liking, with its quick throttle response and ultra-quick shifting. Two qualities bothered me a bit, although they don’t take away from the driving experience itself. First, in order to engage S-Sport mode, you must come to a complete stop and push and hold the toggle switch for a few seconds. I imagine that this is designed to prevent potential damage to the sequential system, but not having all your missiles at the ready is rather disappointing. Second, even if you have engaged Sport or S-Sport mode, the car reverts back to Normal mode once you shut off and restart the car. This is not a shortcoming I have just for the Evo, however. The Nissan GT-R and Lexus IS-F are two vehicles that come immediately to mind that possess what I deem to be a nuisance. The driver should have control over the car, not the car have control over the driver and what he wants to do. All small niggles aside, the combination of the 4B11 engine and TC-SST transmission is quite a convincing one, and completing the circle of performance is the new Super AWC system. It combines Super AYC (Active Yaw Control; first time in a Stateside Evo – adds side-to-side torque transfer ability to the rear wheels translating more cornering capability; similiar to Honda’s SH system), ACD (Active Center Differential), ASC (Active Stability Control) and ABS braking into one. Simply put, the Super AYC system works. As the biggest handling difference between the US Evo IX, it allows the driver to push the throttle harder and earlier out of the apex. And you can watch S-AYC at work in the central display located between the tach and speedo. Even with the softer Bilstein suspension and higher ride height, it inspired just as much, if not more, confidence through the corners than a modified Evo IX. Some may argue that such electronic aids don’t help the driver in improving his skills, but anything to get you through a corner faster and SAFER is a plus in my book. The stock Brembo braking system does a good job of bringing the Evo down to zero. While this set up is more than adequate for most drivers out there, the persistent “squishy” feeling under heavy braking is a carry-over from the Evo IX. Whether it’s late braking on the track or a panic stop on the freeway, the stock Brembo pad compound just doesn’t inspire a whole lot of confidence. As done with the in-house Evo IX, a change of pads, lines and fluid will do wonders for more spirited braking maneuvers. Or if your wallet allows – and to generate “oooohs” and “ahhhhs” from your friends – upgrade the system altogether to a number of aftermarket brake systems listed below. It will transform the Evo X into something completely different in a way that words cannot describe. Finally, the wheel & tire combination on the X MR is great right out of the box. The Advan (Yokohama) 13C is a dry weather UHP (ultra high performance) tire that provides excellent traction on tarmac. Although the life expectancy of such a gummy tire is rather low, this is a price that any performance minded car enthusiast would not mind paying. And the 18″ forged BBS wheels, unique to the Evo X, is a strong, lightweight wheel that really does not need to be upgraded for performance reasons. It’s rather difficult to compare the Evo X to the Subaru WRX STi, as they seemed to have gone in different direction with the current iterations. Whereas the Subie has transformed itself into a 5-door hatch, resembling a downsized Lexus RX-series SUV, the Evo maintains its 4-door sedan heritage. And has upped the ante a bit with a more user-friendly, pseudo entry level luxury vibe. Considering the new approach of the Evo, we can only compare it to some of the 4-door sports sedans out there in the low- to mid-40k range. Having spent extensive seat time in all 4 of these vehicles, it’s hard to place the Evo X in the same class. Why? It’s just a different beast altogether. There is a greater emphasis on luxury, refinement and finish / materials in the Audi, BMW and Lexus. It’s hard to imagine that a person in the market for an entry-level luxury sports sedan would put the Evo X under consideration. Sure, Mitsubishi has made its bid with more features and gizmos inside but the execution honestly falls short of what its competitors have to offer. And although the Subaru WRX STi could be considered its closest competitor, the Evo and the Subie seemed to have traveled in different directions with the current offerings. The 10th iteration of the venerable turbocharged sedan has lived up to the legacy established by 9 iterations before it. It offers an incredible driving experience with a greater level of refinement. Whether you are a current Evo VIII or IX owner, or interested in a kick-in-the-crotch level of performance with room to spare in the back, there’s really nothing that comes close to what this Mitsubishi has to offer. Having said that, we would highly recommend that you opt for the GSR version instead. The TC-SST transmission is great, but it seriously limits aftermarket options if you plan to further “evolutionize” the car. And there’s no telling how much power this sequential manual can handle before it gives up the ghost. At an MSRP of over $41,000 for our loaded MR test car, that is $8,000 on top of what you’d pay for a base GSR, based on MSRP. Yet, the base GSR in question will still have the same potent 4B11 engine, the superb Super-AWC system, Brembo brakes (sans the two-piece front rotor) and the same gummy Yokohama Advan tires (although they will be mounted to slightly heavier cast Enkei wheels). $8,000 is a lot of money that could be spent on aftermarket performance components to spruce up the X GSR to your liking. – We achieved an average of 20mpg on mixed city & highway driving, which is not Yaris efficient, but quite good considering we were mashing the throttle every chance we got. -We thank Mitsubishi engineers for keeping the shift paddles mounted to the steering column, rather than the steering wheel. Mitsubishi Motors North America, Inc. So THIS is Racing in America?